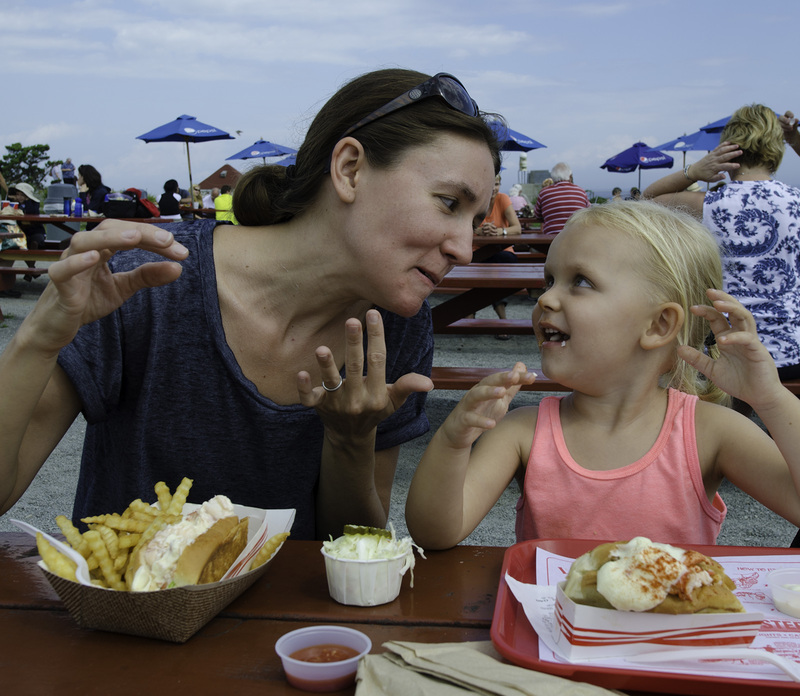 We came back from a long holiday weekend in Maine with about 200 pictures, but it wasn’t until I sat down with Morris’s Time Pieces on Tuesday night that something that has been gnawing at me came into focus. The most immediate memories from our trip are not the things I have pictures of. There’s no picture that captures the feeling of wobbling on a bike that had a chatty 35-pound lobster strapped to the back. I didn’t take a picture of the warm, buttery pastry we enjoyed each morning. I certainly didn’t take a picture while running alongside the 8-lane interstate that also happens to connect two beautiful and well-maintained waterfront trails. However, those are the things that come to mind first when I recall last weekend. So what of the photos I did take? Did I unintentionally take them at the expense of a lasting memory, like a phone number saved to a phone and forgotten forever? The gaps are both more numerous and harder to see than ever. The technology has advanced such that we can make the gaps virtually invisible. Dots are so small and so close to each other that the eye perceives the photo to be reality. Broaden the idea of what a “dot” is and the gaps become even harder to see: status updates, Yelp reviews, the friendly GPS lady telling you where to turn. High speed wireless on an island accessible only by ferry. Like an opaque caulk, technology fills the gaps where imagination and storytelling used to play. I’m not suggesting that capital-T Technology has made Vacationland categorically worse. I am suggesting that Technology is overworked and that we can relieve it of some of its duties. So what if we miss a moment or eat a lousy meal or get lost? Our imaginations are hungry for that kind of material. So what if what you remember gradually turns to fiction over time? At least it’s your story. No one has a photograph to dispute it. A nagging fear is that I’m losing my imaginative faculty. I think a lot how to reverse it—should I be quitting something or removing some device from my life? I never quite know what to do. But this “gaps” idea has given me a new way to think about it. I have to create my own gaps. Thoughtful, deliberate spaces between the pixels, a place where a mind can roam. A simple idea on from my commute this morning: I kept my phone in my pocket (I usually catch up on my blog reading). I got 40 fully caffeinated minutes just to think. I can read blog posts later. This new way of thinking doesn’t mean I have to give up technology. Rather, I have to be more aware of its attempts to insert itself in my life. If anything, it makes me want to use certain technologies even more. Continuous High, for example, and its 6 photos per second. It’s not quite photography and not quite video: instant gaps, instant stories. Late in the morning on Sunday, Maggie’s birthday, we piled into the rented Hyundai Santa Fe and drove south. Cape Elizabeth is a piece of rock that juts out into the ocean to form the southernmost entrance to Casco Bay, where Portland lives. 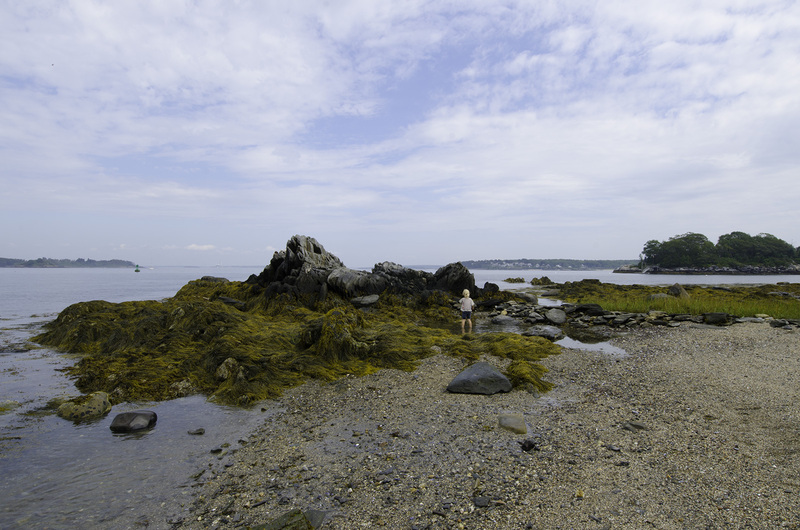 There are no barrier islands or other land masses to protect Cape Elizabeth from the ocean, so depending on the direction you start swimming, you could end up in either Nova Scotia, Cape Cod, or Western Sahara. The tide was out so we ventured out onto the rocks. That’s where the action is, anyway. Rocks that are nearly half a billion years old1 catch waves that have been traveling across the ocean for days. Imagine that age! These rocks formed before the first land plants, before the planet had even turned green. 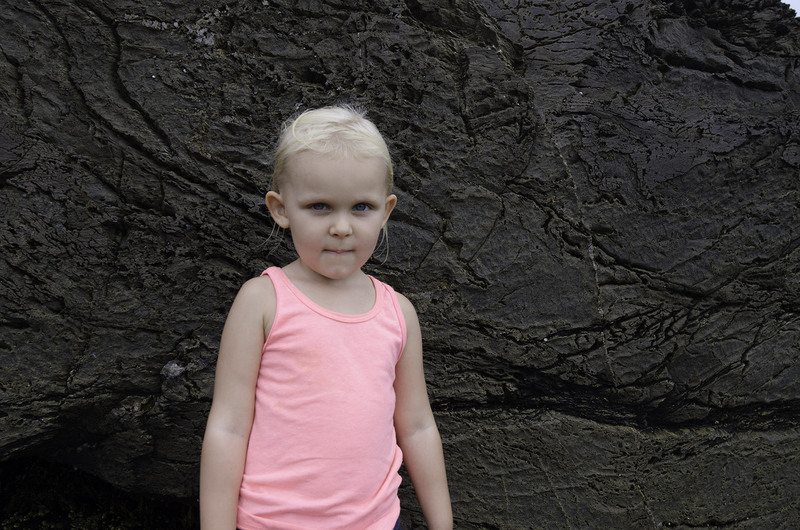 Charlotte ventured farther out on the rocks with Maggie to look for shells and dead crabs. Our presence on the beach drew out the contrasts: liquid and stone, fragile and enduring, flesh and fossil. The tide started to come in, rushing into the gaps of the rocks ahead of us. All around, visible evidence of change. 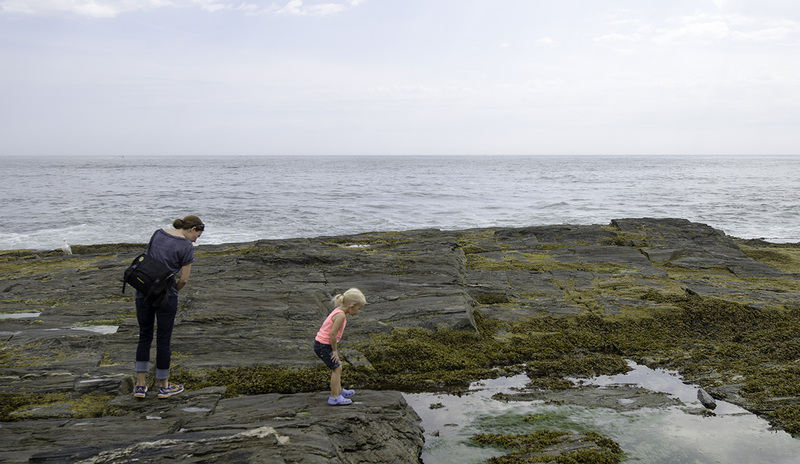 Along Maine’s coast, there are gaps in these ancient rocks and inside these gaps are thick veins of quartz. Deep underground, continents moved, volcanos died, and these rocks cooled and split, allowing brilliant white quartz deposits to flow into and fill the gaps. The mass churned imperceptibly upward and, 400 million years later, came to the surface for a girl in a pink cotton tank top who is about to turn four. At this moment, I am under the impression that the world is new.